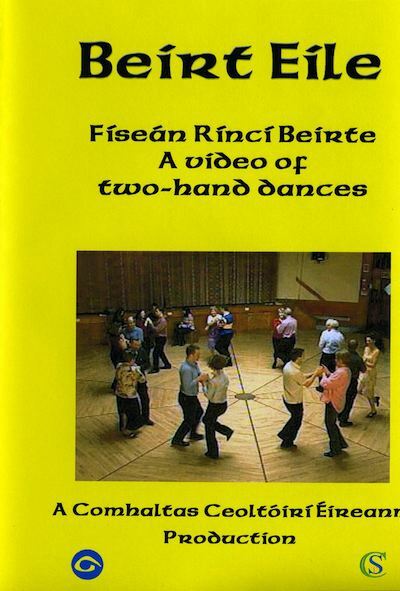 The purpose of this video is to meet the growing demand for more variety at céilithe, at which sets and/or céilí dances (mostly sets) predominate. The idea sprung from a Comhaltas workshop on 2-hand dances in Cois na hAbhna, Ennis, Co. Clare in November 2003. We hope that you will enjoy it. Recorded at: Cois na hAbhna, Ennis, Co. Clare, on 7th March 2004. Demonstrated by: Donncha Ó Muíneacháin & Brenda Hogan. Produced on behalf of Comhaltas Ceoltóirí Éireann by Willie Fogarty TV and Video Productions. Available from Comhaltas Head Office for €15 + €3 packing & postage.